Feb 2 • Six Nations, Six Nations News • 929 Views • No Comments on Who will win the Six Nations 2010? We are preparing our schedules to view rugby – and a lot of it! We are invited to weddings and we check our calendars to check if this does not spoil our prior rugby viewing engagements! Not only will the Super 14 start in a fortnight, but the Six Nations will start this coming weekend! 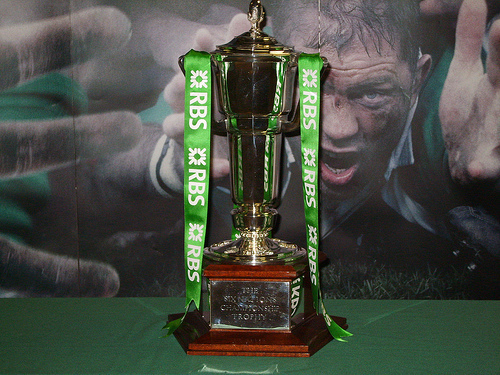 So who do we believe have the best chance of winning the Six Nations 2010? Rugby15 has come across analysis by top coach and rugby expert Bob Dwyer and would like to share some of his thoughts. – That only France, Ireland and Wales can win the Championship, but it’s difficult to see a Grand Slam. – Only Ireland are consistent enough to prevail and they do have three home games, albeit with France away, in Paris. – Both Wales and France are capable of excellent performances, but lack consistency and will need all of the best players available. – Regarded as both brilliant and pragmatic with excellent leadership all over the pitch. – They can be tough and relentless, where required. – They have great speed and realignment in their backline and are therefore capable of the snap try from the smallest opportunity. – Unpredictable and can be brilliant –and then again awful the next week. – Much will depend on selections and poor selection could be their downfall. – World-class players are available. – Capable of playing instinctive rugby – perhaps better than anyone else – but, at times, they seem reluctant to do so. – They will need all of their best players – and injuries could threaten their chances. – There is sometimes appear undecided about the defensive strategy – which could have catastrophic results. I’m certainly looking forward to it!